Drugconfirm Advanced 2.0 14 panel drug test: (AMP1000/BAR300/ BUP10/BZO300/COC300/EDDP300/MDMA500/MET1000/MOR300/MTD300/ OXY100/PCP25/TCA1000/THC50 WITH 3 AD OX/SG/PH ) Detects the Methadone metabolite) - Our Tests Are: -FDA Approved -Health Canada Approved -99% Accurate -Set to the SAMHSA Cut-off levels -Results are Ready in Minutes -Have an 18-24 month Shelf-life -Negative results in 1 minute -Positive results in 5 minutes. EDDP 14 panel drug test cup. Drugconfrim® 14 panel is donor friendly, results are both easy to read and photo copy. All drug testing results appear in the lid. (25 per box) only $164.97 per box. A consumer study was conducted to determine the performance of the device when used by untrained, laypersons following only the instructions in the product labeling. A total of 153 participants read a total of 5460 assays during the study and 5228 of those 5460 assays (95.8%) was interpreted correctly. Each assay was tested by these participants using spiked solutions targeted to 0%, 25%, 50%, 75%, 125%, 150%, and 175% of the assay cutoff level. Specimen validity test results are obtained by directly comparing the color of each test pad with the color block of Adulteration Color Comparison Chart. Adulterated urine sample will produce abnormal color response. Unadulterated urine sample will produce normal color response within the time identified on the color chart. Negative (-): Colored lines appear in both Control Region (C) and Test Region (1, 2, or T). The line in the control region is the control line, which is used to indicate proper performance of the device. The line in the test region is the drug line. The test line may have varying intensity either weaker or stronger in color than that of the control line. A negative result for a drug indicates that the concentration of that drug in urine is below the cutoff level. Positive (+): Colored line appears in the control region. No line appears in the test region. The complete absence of a test line indicates a positive result for that drug. A preliminary positive result for a drug indicates that the concentration of that drug in urine is at or above the cutoff level. Invalid: No colored line appears in the control region. If the control line does not form, the test result is invalid and should be repeated. 30 day product satisfaction guaranteed. 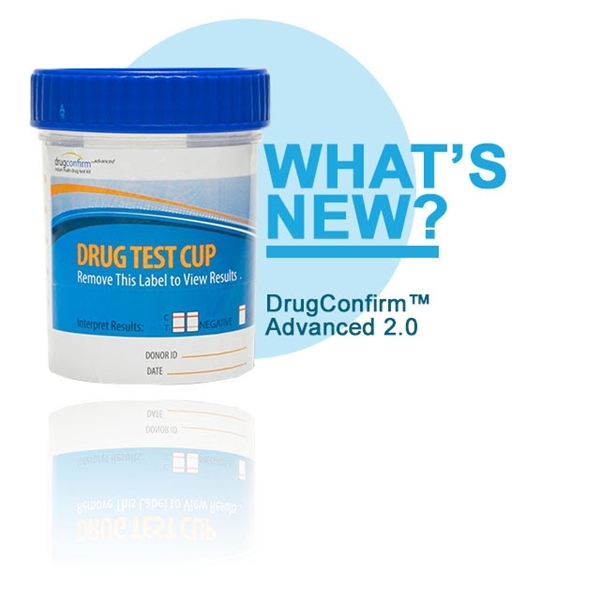 The accuracy of the Drugconfirm Cup™ was evaluated in comparison to commercially available drug screen tests. 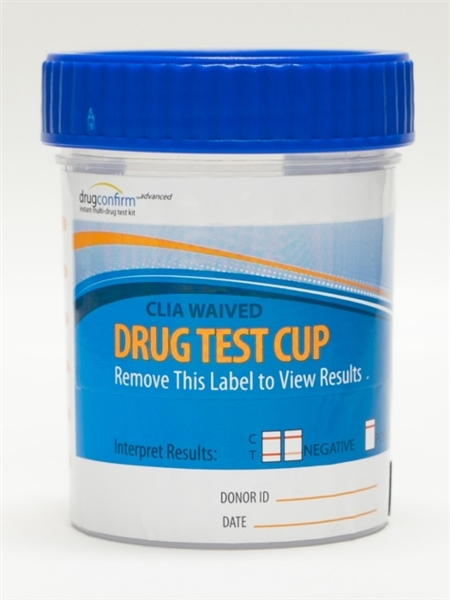 Sixty (60) negative urine samples collected from presumed non-user volunteers were tested by both the Drugconfirm Cup™ and commercially available drug screen tests. Of these negative urine samples tested, all were found negative by both methods. In a separate study, positive urine samples, obtained from clinical laboratories where the drug concentrations were determined by GC/MS (TCA concentrations were determined. it's much more affordable only $6.59ea.